Do broken links matter to SEO? When it comes to the internet, every component of your web presence matters. That’s why we always harp on the idea of every little detail of every little thing. And broken links are no exception. If your website has broken links, even just a few, it will damage your SEO, your presence and your online reputation. And for a roofing business, your online reputation matters greatly. This can ultimately lead to a loss in sales when people are turned away from your damaged site. Broken links are links that do not take a user to the place they should. They are a web page that is simply not there. They show up in the form of an error called the “404 error.” When you click on a broken link a page will pop up informing of you of this error. Often the page will contain a quippy remark about why the link is gone, but the moral of the story is: The user did not go where they wanted. 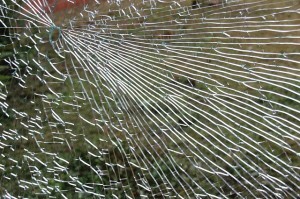 So how do broken links damage your web presence? They actually do so in a variety of ways. User Experience: They will hurt the experience a user has on your website. It matters very little if someone finds you online if, when they click on your link, they reach an error message. In fact, this will usually deter a potential client so much that they will choose to visit a new website instead (even if the rest of your website is fine). SEO: Google tracks a lot of variables, and while they have never blatantly said that broken links damage your SEO, studies have proven they do. 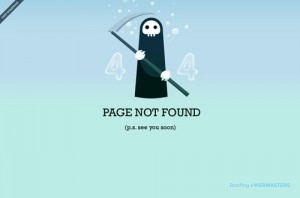 For one thing, when someone visits a broken link they will leave that page quickly. And Google tracks how long people spend on your web pages to help determine your ranking. Fast turn over means lower rankings. Conversion: Ultimately, broken links damage your conversion. People talk online and according to a study by Kissmetrics 44% of users will tell other people about a bad online experience. Don’t let your roofing company be the one that is talked about in a negative light. Fixing broken links simply takes time, effort and a little tech savvy. The first step is to assess your entire website for any broken links. The next is to fix them by redirecting the pages to the proper location, or taking down old links that are no longer in existence. But ultimately the best way to fix the problem is to prevent the problem. At Roofing Webmasters we have a team of webmaster gurus on staff who constantly keep an eye on our clients’ sites. This prevents broken links from ever happening which equals a higher conversion rate for our clients. Talk to us today about improving your online presence and fixing your broken links.